The recent opening of the highly anticipated La Perle by the legendary Franco Dragone promises an unforgettable experience unlike any other not only in Dubai, but in the world. La Perle is the UAE’s first resident show and it’s home in the heart of Al Habtoor City is a one-of-a-kind mirror to the show’s concept. Featuring a cast of 65 daredevil artists, each one bringing a different element to the live performance, from actors to acrobats, divers to musicians, these gravity-performers unite together to deliver a truly mesmerizing performance. Unlike any other theatre in the world, this uniquely designed 1,300-seat venue encapsulates the audience allowing for everyone to enjoy a magnificent view of the show for an intimate experience that leaves you in perfect viewing distance to capture all the action. You may even get wet if you’re in one of the front-row VIP seats! The stage centres around an illuminated circular pool that sees highly skilled performers dive from the heights of the theatre into its unknown depths as acrobats fly through the theatre during this fast-paced show. The 90-minute live masterpiece is a breathtaking fusion of international artistic performance, creative imagery and ground-breaking technology that will leave you both amazed and astounded. With the highest of production credentials, La Perle is the brainchild of creator and producer, Franco Dragone, one of the most sought-after artistic directors in the world who is internationally renowned for reinventing the genre of theatre and changing the face of live entertainment in Las Vegas. 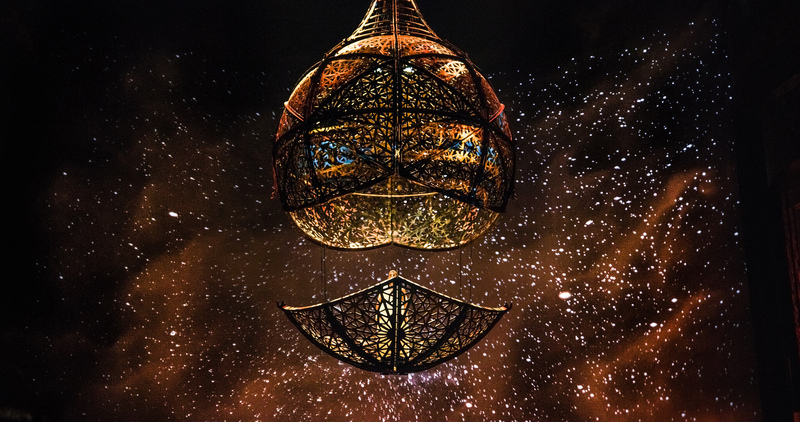 The story of La Perle is lovingly inspired by Dubai and its rich cultural past, something that shines through the performance itself provoking an emotional sense of nostalgia through its brilliance. This heritage then transitions to the emirate’s vibrant present and aspirational future. Three main characters take you on a visually captivating journey through time with never-seen-before motorcycle stunts (with quite literally take your breath away) and flying acrobats over head. It’s a fantastical evening of gasps and amazement that does Dubai proud. Tickets start at AED 400 and range up to AED 1,600 for VIP. Make sure you check out our instagram pages for live coverage.